Last February, right around the time we moved, I was juggling a few sewing projects. 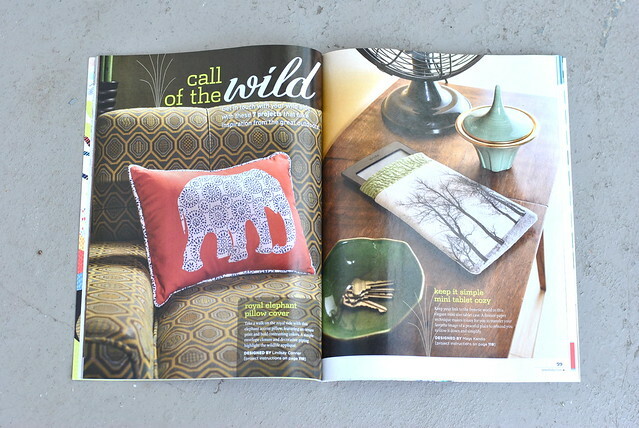 One of them, I am thankful to have included in the Fall 2013 issue of Stitch magazine! Love this weekender-type travel bag on the cover, and some of the clothing patterns in this issue are to die for. 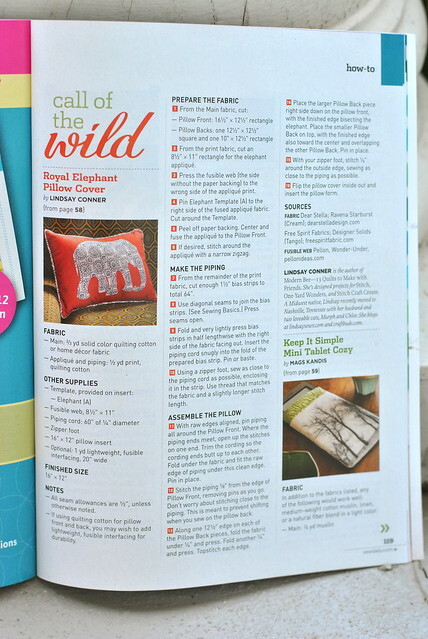 My project was for the "Call of the Wild" section, and I had fun designing this throw pillow with elephant applique. The print fabric is Dear Stella's Ravenna. I added a thick piping in matching fabric and chose a bright Free Spirit Solid (Tango) for the background. Here's the pillow all snugly on a chair. Now that my pillow has come home, I just need to find the perfect place for it here! Couch? Bed? Baby's room? 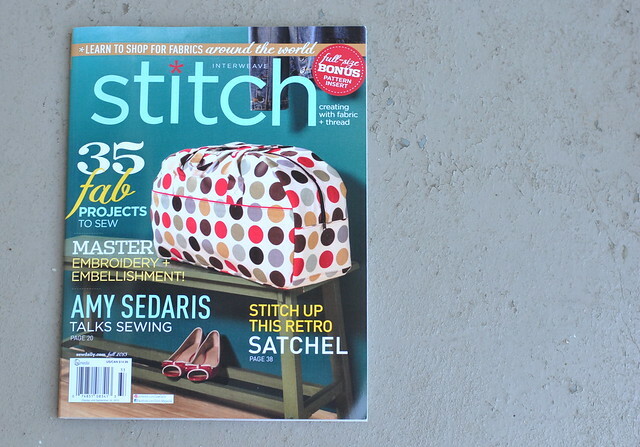 Many thanks to Stitch for including me in this issue, which is available for pre-order here. I hope you have a great week! Love it, Lindsay! 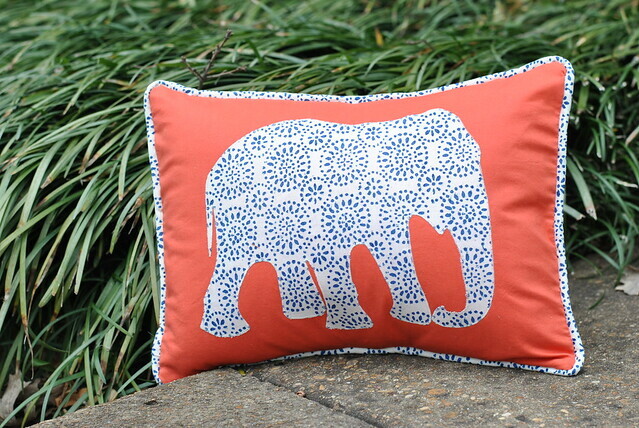 I think the pillow could definitely work in a baby's room, and orange and blue are great colors together! super fun girl. it would be great for the baby's room. That could work in so many places. Sweet! Top reason to freak over this: you're in the same mag as Amy Sedaris! Too awesome.